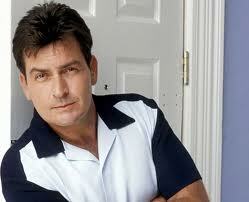 Charlie Sheen has been fired from hit sitcom Two and a Half Men. The embattled star has been at war with show producers since falling out with writer/creator Chuck Lorre publicly in January (11). Last week (beg Feb 29) he launched a media blitz using radio, TV and Internet news outlets to spew out his bitter feelings towards his bosses, who cancelled the remaining episodes of the eighth season of Two and a Half Men after Sheen launched a hate-fuelled radio rant aimed at Lorre in late February. The decision to sack Sheen comes just over a month after the show was suspended to allow the troubled star time to recover from a series of wild antics in rehab. But Warner Bros. bosses have decided enough was enough after Sheen publicly demanded $3 million (GBP2 million) to return to the show during a TV news interview last week (Mar 1), while continuing to blast them for holding up production on the show. In a statement released on Monday (Mar 7), Warner Bros. executives say, “After careful consideration, Warner Bros. Television has terminated Charlie Sheen’s services on Two and a Half Men, effective immediately.” Sheen insists he is overjoyed by the news of his firing. In a bizarre message to TMZ.com, Sheen says, “This is very good news. They continue to be in breach, like so many whales. It is a big day of gladness at the Sober Valley Lodge (his nickname for his home) because now I can take all of the bazillions, never have to look at whatshisc**k again and I never have to put on those silly shirts for as long as this warlock exists in the terrestrial dimension.” Last week fans of the sitcom called for TV bosses to sack Sheen and replace him on the show with former E.R. star John Stamos.